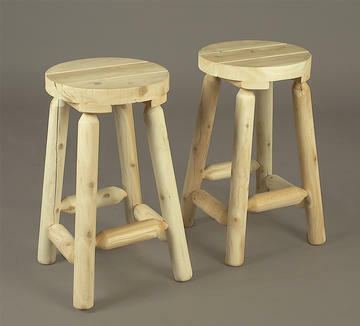 The solid cedar construction of these simple bar stools will give you years of carefree use. Also available in 18" and 30" heights. For more information on the performance of Northern White Cedar log furniture click here.